Mining M&A Heats Up: Does 3 Deals Make a Trend? Americas Silver’s acquisition of Pershing Gold is the latest in a string of mergers and acquisitions in the precious metals space. Are there more to come? 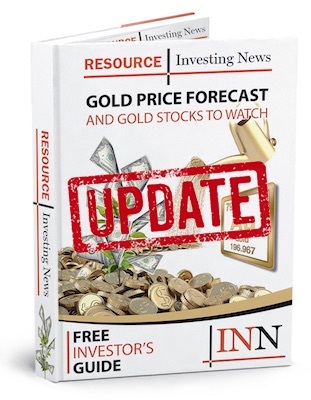 The last week of September and the first week of October brought three major deals in the precious metals space, with the biggest by far being the US$18.3-billion tie up of Barrick Gold (TSX:ABX,NYSE:ABX) and Randgold Resources (LSE:RRL). That merger came the same day as Great Panther Silver’s (TSX:GPR,NYSEAMERICAN:GPL) acquisition of Beadell Resources (ASX:BDR) and was followed closely by Americas Silver’s (TSX:USA,NYSEAMERICAN:USAS) purchase of Pershing Gold (TSX:PGLC,NASDAQ:PGLC). “It’s funny, there’s been three deals in a week and we haven’t had three deals all year,” Darren Blasutti, president and CEO of Americas Silver, said after his company’s news hit the market. Of course, said Blasutti, in order for further business combinations to be well received it will be important for companies to secure arrangements that make sense. With metals prices low and stocks down, that type of engagement with investors has been a key topic of discussion in the precious metals space this year. When asked whether he sees recent M&A activity increasing interest in the industry, Blasutti said it’s only one part of the picture. In his opinion, to be successful companies will need to make smart decisions — about M&A or otherwise — that show market participants they will be able to make money if they invest. And of course, it would help if gold and silver prices improved. On the whole it remains to be seen whether M&A activity continues and whether it stokes greater interest in the precious metals space. For now, hopes remain high, and all eyes are on the deals that have already been made — especially the one between Barrick and Randgold. Editorial Disclosure: Great Panther Silver is a client of the Investing News Network. This article is not paid-for content.